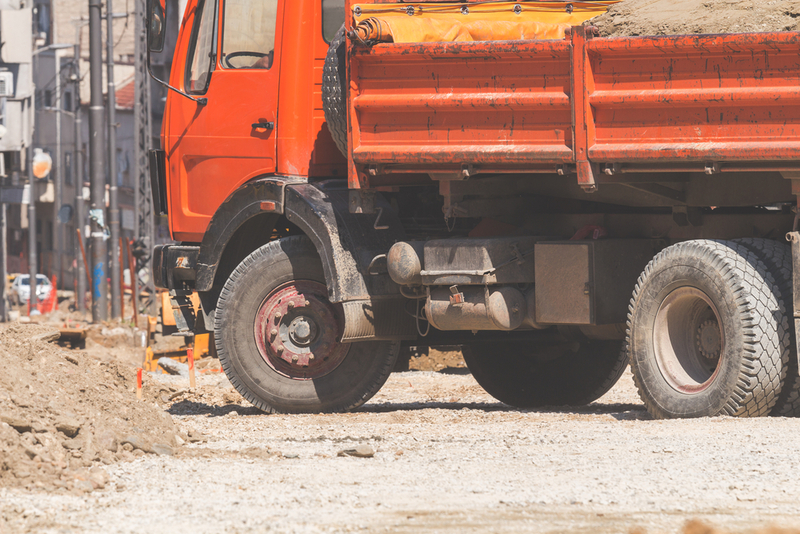 Avoid Downtime by Keeping your Haul Trucks Maintained | Copeland Intl. Your haul trucks are essential to your heavy-duty construction processes. Routine maintenance is critical to keeping your truck fleet operating at optimum performance. Without the proper parts and performed maintenance, you could be faced with unavoidable downtime. In order to fill work orders in a timely manner and keep your haul trucks fuel efficient, regular upkeep is necessary. Learn how to increase productivity for your haul truck drivers here! Not only do your haul trucks need the correct tires for their specific model, but the pressure and alignment must be checked weekly. If you don’t know the proper tire inflation pressure, you can always get this from the tire supplier. If your tire pressure is low, you could be limiting the size of your load, while increasing rolling resistance. You may not think to check your tire pressure weekly, but if you don’t you could be causing more wear and tear to one tire, or even risking your haul truck safety. Next, you want to ensure that your transmission is working efficiently. This means checking the oil cooler for loose debris, the main pressure filter, the flywheel housing, and the driveline inspection. All of these components work together with your transmission to keep your trucks running at peak performance. If you hear any noises, whether that’s whining or grinding, it’s critical to have your haul truck transmissions inspected to avoid a transmission failure. Pro Tip: If you’ve experienced a transmission failure in your haul truck, consider a rebuilt Allison transmission for their reliability and ease of use. Frame and body inspections don’t have to be performed as frequently as tire inspections, but they’re still necessary. Wash your haul truck before looking for any flaws such as cracks, leaks, or loose fasteners. It’s wise to work with a professional inspector so that they can find any issues and troubleshoot them in the most timely and cost-effective manner. Another essential part of your routine maintenance should be to inspect the fluids. You should be checking the coolant daily. If the coolant is low, be sure to add the same type of coolant every time. You also want to monitor your oils in your transmission, torque converter, drivelines, steering system, and front wheels. Consistently being aware of your fluid levels will help ensure that your trucks operate safely. Time wasted is essentially money being wasted. When haul truck problems are detected early, you can avoid downtime and expensive repairs. Would you like to learn more about industrial vehicle maintenance? Join the conversation to speak with our team of haul truck experts.